It is hosted by Yahoo Inc (California, Sunnyvale,) using YTS/1 web server. ns9.san.yahoo.com, yns1.yahoo.com, and yns2.yahoo.com are some of its 4 Nameservers. 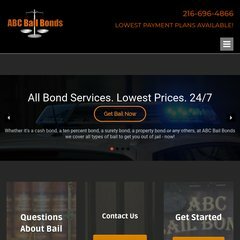 Abcbailbonds.biz's IP address is 98.136.92.206. A time of 31.5 ms, is recorded in a ping test.